I’m not even going to begin to explain why I haven’t written since, ah, February and I’m not even sure what brought me here this evening but I’m going to give it another shot. You can’t even imagine how many pictures I have taken for “my blog”. Anyway her we go. 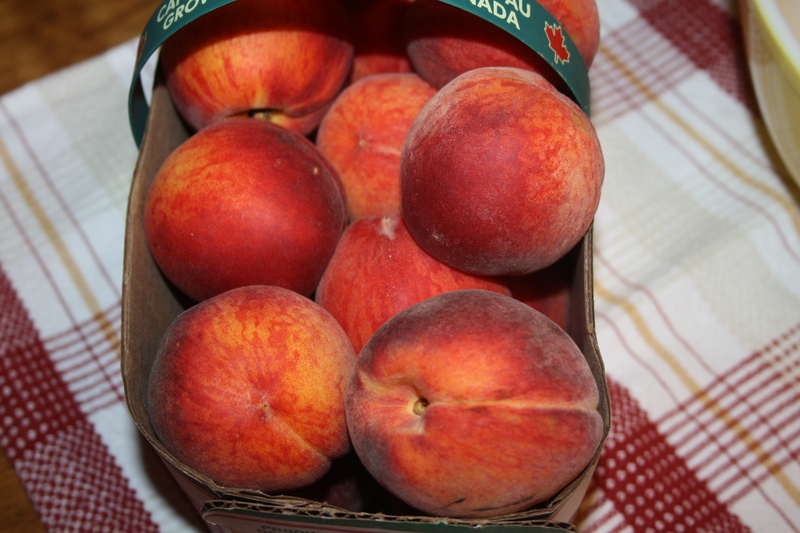 I can say that it is still peach season because I still see Ontario peaches in the stores. 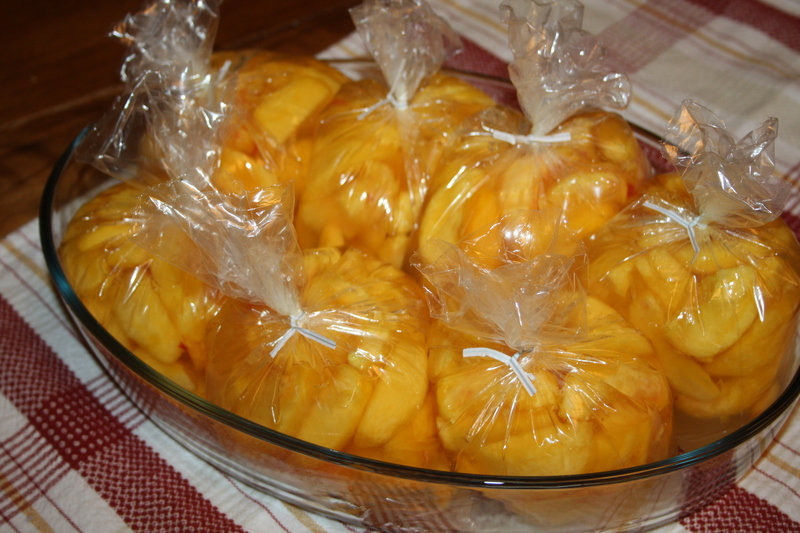 So I thought that I was still safe to be writing this post about how I bag peaches every fall. Well I actually haven’t been doing it that long, just a few now. 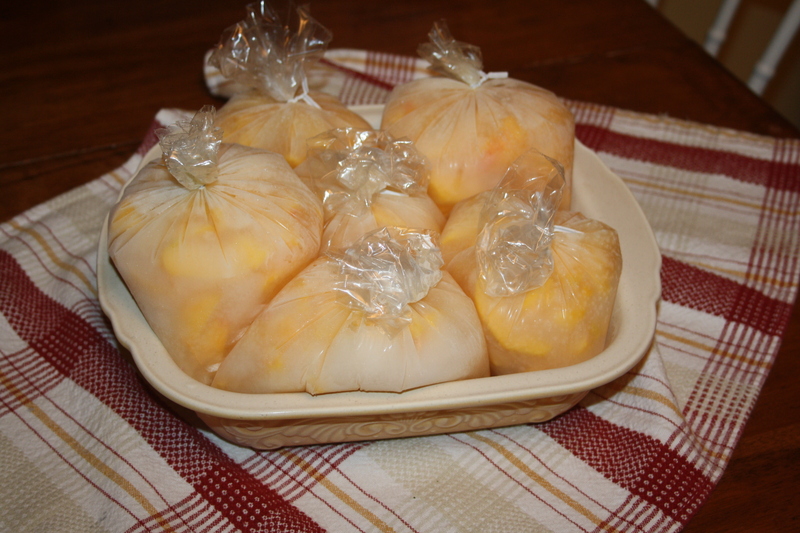 A very nice woman in my life shared with me how she has been doing it for years and how come winter it will be so nice to take a bag out of the freezer for my grandchildren. I am going to share it with you and if it’s not to late, maybe you will be freezing some peaches also. 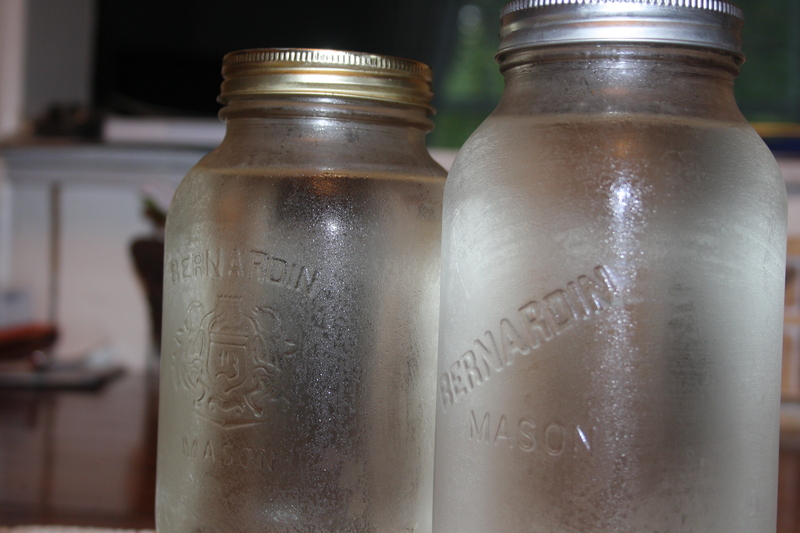 First I start by making a simple syrup, 8 cups of water and 2 cups of sugar, bring to a boil and let cool. I actually made it the night before and put it in the fridge until I was ready the next day for pealing, cutting and bagging. 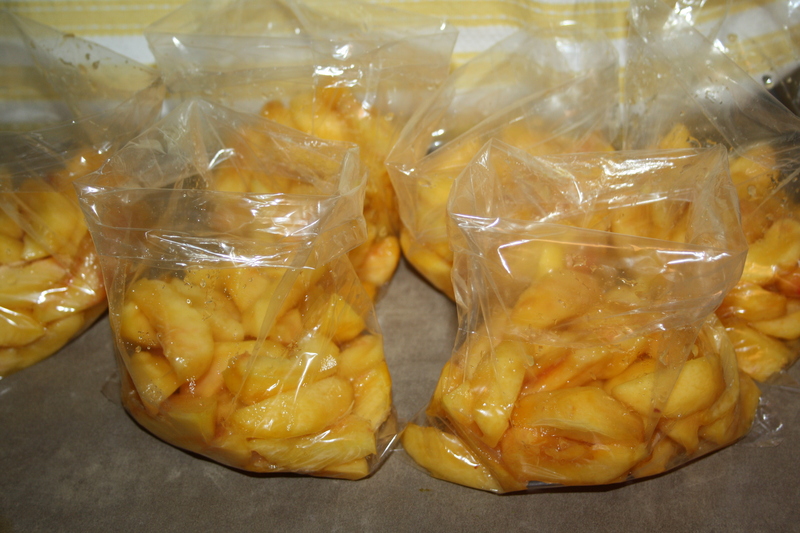 Next day when I was ready to stand on my feet I pealed the peaches and cut them in sections around the pit. You don’t want to do too many at a time because then they sit in a bowl getting all squished and mushy. I like to just peel a bit at a time. 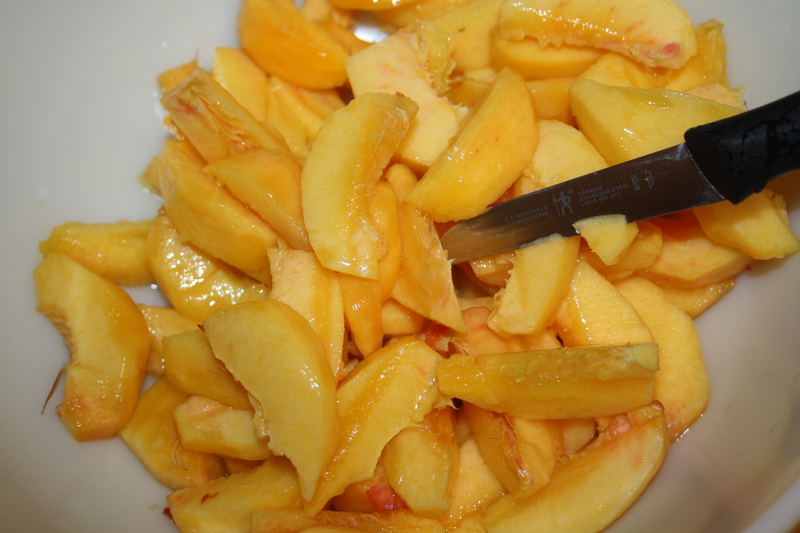 Then for one cup of syrup you stir in 1 tsp of ascorbic acid, this keeps the peaches from turning brown. 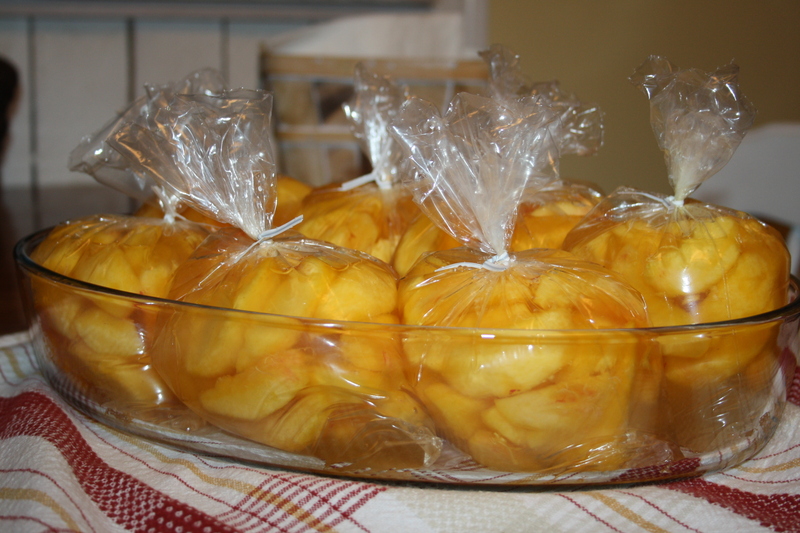 Then scoop about 1 sometimes 2 cups of peaches into simple baggies and cover with some syrup. You want the peaches to be covered. I then twist tie them and stand them up into a casserole dish so that they are nice and tight in there so they don’t fall over and leak. I put them in the freezer until frozen. When that is done I remove them and run the dish under some hot water long enough for them to release from the dish. 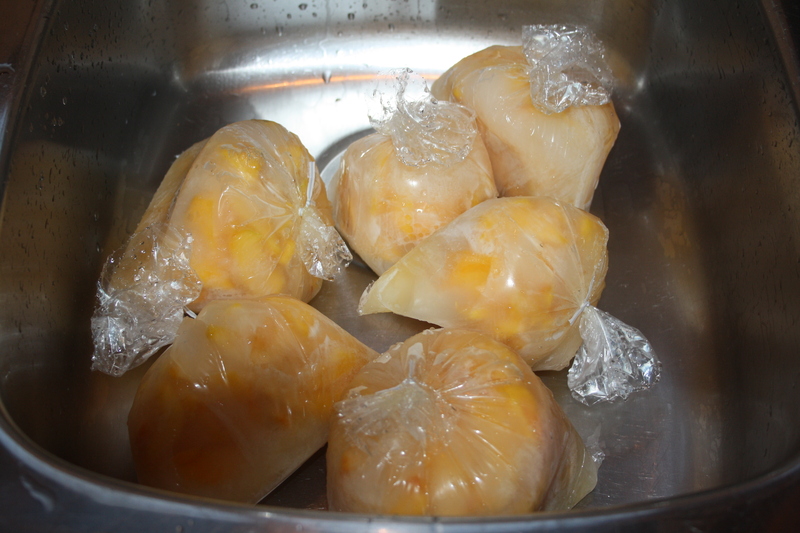 I put a few bags into a bigger zip lock and put them back into the freezer to be enjoyed through the winter. That’s it! Now I know some of you will not like the baggy idea but if it’s not for you you can do the same thing into containers of your choosing. Categories: Uncategorized | Tags: Freezing | Permalink.